What Sets Cactus Jack's Apart from Other No Credit Check Car Dealers Around Phoenix and Tucson? $500 Down – For only a $500 down payment, you can take home one of our vehicles near Glendale today! Buy Here Pay Here – Unlike other dealers that go through outside lenders, Cactus Jack’s lets you take out a loan directly through our dealership. 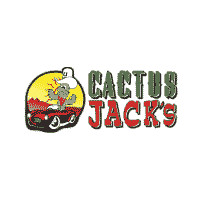 Referral Club – For each friend you refer to Cactus Jack’s, we’ll give you $100! No Credit Financing – Whether you have no credit, bad credit, or a recent bankruptcy, you’ll be able to walk away with a car from Cactus Jack’s! Cactus Jack’s has seven unique locations throughout greater Glendale, including Phoenix. Come see us to find your next used car today! While you’re here, check out our guide on things to do in Phoenix, as well as our overview of what a credit score actually is. 0 comment(s) so far on What Sets Cactus Jack’s Automotive Apart From Other No Credit Check Car Dealers in Phoenix, AZ?